A new report published by Gartner L2 Digital IQ Index benchmarks the digital performance of 77 luxury fashion brands operating in the U.S. and Western Europe. The report evaluates luxury brand’s digital performance across website, e-commerce, digital marketing, social media, and mobile. It also provides key digital strategies for fashion brands to navigate the increasing globalization of the fashion market specific to key markets including the U.S., U.K, France, and Germany. Index brands are classified as either Genius, Gifted, Average, Challenged, or Feeble. Gucci is ranked the number one luxury brand with the highest digital IQ score, followed by Louis Vuitton in second place. Sinds 2017, Gucci remains the most visible brand across e-trailers, scoring higher than Farfetch and Net-a-Porter. Interestingly the report states Kering brands have declined in visibility over 2017, shifting away from platforms owned by competitor Richemont. When it comes to traffic sources, the report finds that fashion brands have yet to figure out how much to spend on digital display advertising as the return of investment is not easily attributable. "Fashion brands are accelerating their digital investments to keep up with a globalizing commerce landscape and shifts in consumer expectations," said Brian Lee, Associate Director at Gartner L2. "However, this rush to catch up has led to uneven implementation, and some brands fail to thoughtfully consider digital features before integrating them, resulting in a lack of sophisticated nuance, especially as brands expand distribution into new markets in search of consumers. Fashion brands in the U.S. continue to lag other retail verticals in omnichannel fulfillment functionality. Only 29 percent of Index brands have click and collect as opposed to 71 percent of department stores, offering consumers less incentive buy directly from a brand online. While brands have upped their game for U.S. customer service offerings, they have lagged behind in translating features to European sites. Less than 50 percent of brands in Europe list customer service in local time zones, with only 36 percent doing so in Germany. Instagram remains the focus for brands investing in social commerce. Year-over-year adoption of Instagram Shopping has jumped from 12 to 42 percent. Twenty-one percent of brands have integrated a Facebook Shop tab on their pages, however many fail to actually add a meaningful number of SKUs. 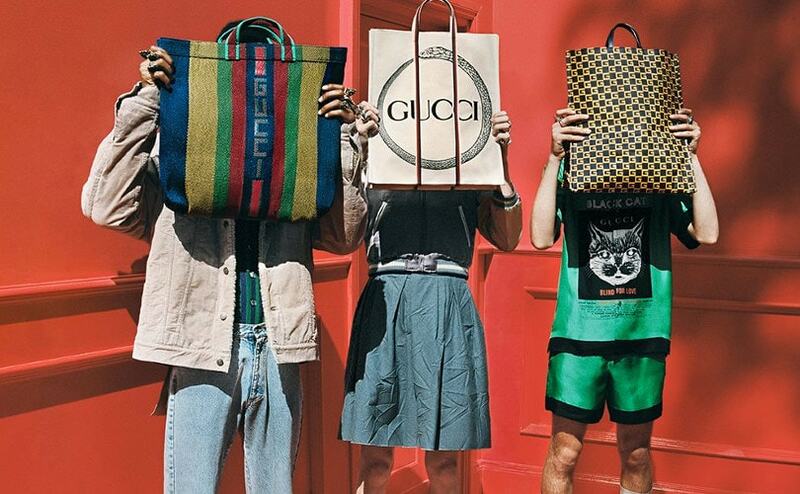 "Despite lower spending power, millennials are more likely to purchase luxury goods than any other age cohort," explained Christina Yang, Research Associate at Gartner L2. "They have significantly different ideas about luxury than prior generations, and brands must be increasingly reliant on values-based marketing both in the U.S. and abroad, in order to target and reach these consumers." To see the full report go www.l2inc.com.